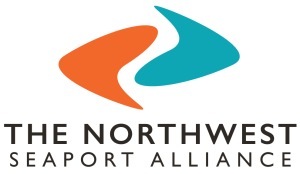 At The Northwest Seaport Alliance’s Managing Member meeting on Feb. 5, the port commissions of Seattle and Tacoma discussed staff recommendations for significant new investments to grow international marine cargo in the Seattle Harbor, including a new tenant at Terminal 5 and more than $300 million in infrastructure improvements to the facility. The introduction of ever-larger container vessels has triggered dramatic changes in the container shipping in the recent years. With the largest marine cargo vessels entering the trans-Pacific trade, our Terminal 5 investments are critical for Washington state exports to Asian markets, in addition to growing cargo volumes and maritime jobs in the Puget Sound region. Terminal 5 in Seattle has long been considered a premier container cargo on the West Coast because of its naturally deep berth, wide footprint, and the availability of an on-dock rail yard, which allows containers to be directly loaded from the ship onto rail lines. The new ultra-large container ships, however, require larger, heavier cranes with a longer reach, which in turn requires strengthening the dock and upgrading utilities. In addition to these infrastructure improvements, Seattle and Tacoma port commissioners have directed staff to bring forward environmental investments to enhance water and air quality for the community. They include updating stormwater treatment systems and installing “shore power” infrastructure, which allows a vessel to plug into electricity while at berth, substantially reducing air emissions. The plan also includes technology improvements to manage truck flow around the terminal and a railroad “quiet zone” to reduce noise impacts for the surrounding community. Having secured all the necessary permits required for developing T-5, the NWSA is planning for construction in its 2019 budget. The City of Seattle issued the shoreline permit for Terminal 5 improvements on Jan. 23. The NWSA continues to work on design and permitting as we explore potential tenants. City of Seattle in early April published the Master Use Permit Analysis and Decision with Draft Conditions. Port of Seattle releases the Final Environmental Impact Statement. Port of Seattle releases the Draft Environmental Impact Statement available for review and comment. Based on information from potential partners interested in the terminal, the NWSA and Port of Seattle determined additional environmental review is required. See news release. Request for Information responses from potential tenants indicate that a long-term lease commitment would require the ability to handle more than 1 million TEUs, higher volumes than previously permitted. The NWSA continues to gather information about how a new tenant might operate the terminal, which will further inform the environmental review. Commissioners reviewed scenarios for terminal improvements in the North and South harbors to enhance container trade through the Puget Sound gateway. The Port of Seattle issued a SEPA notice of determination of non-significance for dock construction and a Request for Information began the search for a new tenant. Both the RFI and SEPA notice indicated that further environmental review would be conducted if the proposed use changed significantly or volumes were expected to exceed the 650,000 TEUs in the existing EIS. Container operations suspended at Terminal 5 to allow for the strategic investments necessary to handle two 18,000-TEU ships simultaneously. Commissioners authorized planning and design work to modernize Terminal 5. The terminal can only handle ships with a maximum capacity of 6,000 TEUs. 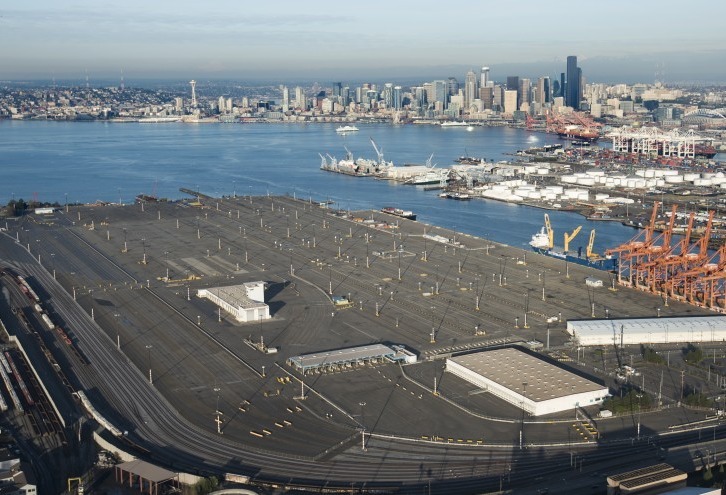 The Port of Seattle completed terminal cleanup, redevelopment and enlargement to accommodate additional container services to meet demand.